Samsung Galaxy Note 8 is just about the worst-kept secret in the smartphone market. But it’s possible one feature could be tossed in at the last minute. Samsung’s Bixby voice assistant is now global after it expanded into over 200 countries today. 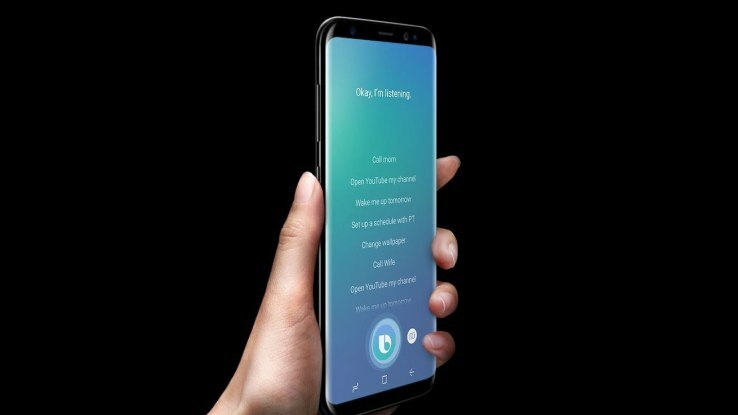 Galaxy Note 8 may be supports Bixby assistant. Samsung, which is slated to unveil the Galaxy Note 8 at a press event in New York City tomorrow, has been said to be weighing its storage options. And there have been some reports suggesting Samsung could offer a 256GB version of its upcoming device. The Galaxy S8 and Galaxy S8 Plus flagships Samsung released earlier this year are available in the U.S. in 64GB capacities. Those who want more storage can get it by inserting a microSD card into the device. Samsung allows up to a 256GB microSD card to be used with its handset. In contrast, the Galaxy Note 8 would offer 256GB of storage built-in, putting it on pace with its chief rival, the iPhone 8, which offers that storage capacity. Those who choose the 256GB option will also get some freebies. According to SamMobile, the higher-capacity model comes with the customer’s choice of an AKG Bluetooth speaker or a Nemonic printer. We’ll ultimately find out everything we want to know about the Galaxy Note 8 tomorrow when Samsung finally takes the stage in New York City and unveils its handset.